Here I am posting another common Filipino ice cream mostly unknown to non-Filipinos, the Ube Ice Cream. This ice cream is one of the best sellers in the Philippines due to its unique taste that suits well to the Filipino palate as well as it common use in a dessert called Halo Halo. This ice cream’s main ingredient is ube or purple yam, a root crop variant of yam distinguished by its bright lavender colour; it is very common in tropical locations like South America, Africa, Australia and South East Asia. Also called as greater yam, Guyana arrowroot, ten-months yam, water yam or winged yam this root crop is not just used in ice cream but in different dessert items such as cake, milk, jam, cookies, tart and lots more. I know this might sound weird to others but again you have to trust me as this is a really good ice cream worth trying. Wow! What a rich color! So beautiful! ube,,,, yet another new veggie to hunt for and try,,,this ice cream sounds intriguing! I love the color! And you’re right – I never have tasted (or heard of) this. Looks so good! I have never seen an ice cream that color. That is stunning! 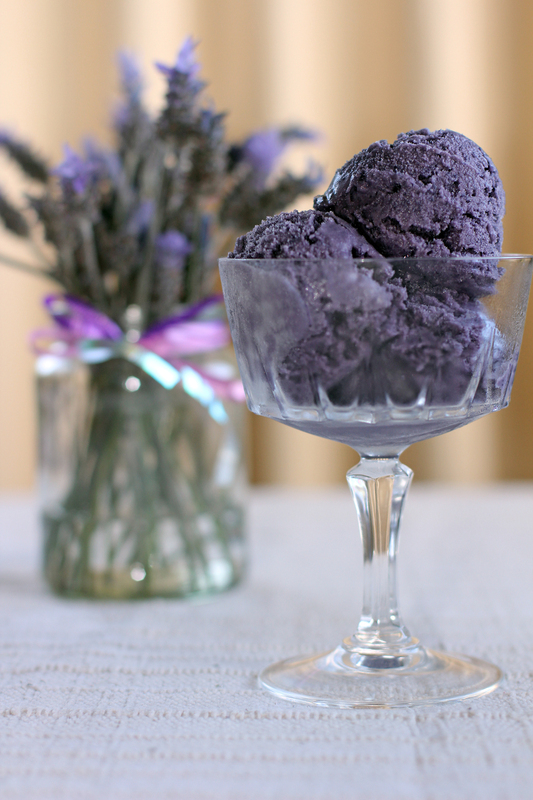 I quite like ube in anything – ice cream is no exception! This is such a classic Filipino flavour. I can’t think of a better way to have dessert. What a deep stunning color! !! Wishing you n your beautiful family a very happy and gorgeous New Year my friend! ! My fav is still cheese flavored but ube runs a close second 🙂 Great color on yours! this just reminded me the yam ice cream I love as a child. Haven’t had this in years. thanks for the recipe. Now i can make it and not have to wait till i go home. Cheers and have a great NY. I saw this icecream on Tasteologie and had to stop by. It has such a unique and vibrant color! i would like to try this. sounds good! Love purple yams! But I’ve never tried it in ice cream. My parents are going to the Philippines this weekend, better tell them to try it out! I’ve made an Ube version of Sweet Potato Pie that has been judged by my friends as just AWESOME. Just take your favourite Sweet Potato Pie recipe and substitute Ube for the Sweet potato. A local Filipino grocery store here in Alameda carries McCormick (R) brand concentrated Ube flavouring/colouring. Oops – forgot to add to my previous post that you can use the Ube concentrate in the ice cream recipe instead of trying to blend red and green food colouring, which in my experience often just produces a sickly gray colour. how much ? 1 tsp?? ube flavocol. can i just add ube halaya thats available on supermarket or stalls?? need i decrease the sugar?? (I dont know how to make ube from tuber pa kasi.. or how to ba?? just peel and boil til soft like how you would do with kamote?? Dati po kasi may nagbigay nga tuber niya, pinaluto ko lang, parang dami pa niyang naihalo.. butter and etc…) Thanks po for sharing! You cant use the already made halaya. To make it on your own just boil it on its ow like yam or sweet potato then mash it. For the colour you just adjust it depending on the colour you want to achieve, different food colour brands have different intensity.. I think you should mix re d and blue like the recipe states, not red and green. Is it okay to use the whole egg or do I have to only use the yolk?? Only egg yolks so you have a smooth texture. Otherwise it will be like leche flan with egg yolks, gritty. hi how did you cook the ube / purple yam?